Claire makes a significant point at the beginning of this post. Rather than using a drink to magically detoxify our bodies, we need to use remedies that strengthen the body organs that are responsible for naturally detoxifying our bodies. The liver and kidneys are especially responsible for filtering toxins. 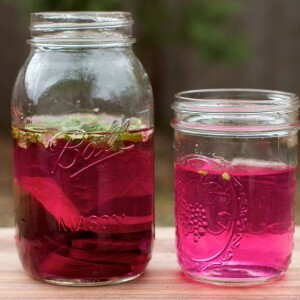 In this post, she shares two natural detox waters that help the liver, in particular, to trap and flush out different toxins. She explains in detail how the waters work. The recipes infuse the water with different vegetables, fruit or herbs. They’re very easy to make. Click on the Detox Waters for Cleansing and Wellness link below to see the complete post.